LeBron James’ legendary career continues in the 2018 NBA Playoffs as Zero Dark Thirty-23 Mode has been activated. From coming through in the clutch, to the most electrifying plays, LeBron is easily considered as someone that shines on the big stage. As LeBron enters his 13th post-season appearance, he looks to book his eighth straight finals appearance and win his fourth NBA championship. Helping him in his journey is a signature shoe that’s arguably his best to date—the Nike LeBron 15. The LeBron 15 has had its fair share of drops since it released last September, and Nike’s creative LeBron Watch campaign further bridges the gap between athlete and consumer by telling both old and new stories through the King’s 15th signature shoe. Mostly centered on classic models and iconic athletes, the LeBron Watch makes us sneaker heads imagine the possibilities while waiting for LeBron to lace them up and rock them on the court. Thanks to the shoe’s performance and lifestyle driven design, the LeBron 15 makes its case as a force on and off the court. While Battleknit provides a seamless and breathable fit, it’s also the perfect canvas for details and themes. With style in mind, the overall design of the shoe was born out of the desire to create something that makes all people feel good when they put it on. Therefore, the LeBron 15 is perfect for the reimagining of classic silhouttes, provoking our creativity to visualize potential. The first sneaker is an all-time classic. As the first basketball shoe to feature Nike Air technology back in 1982, it redefined basketball culture from the hardwood to the pavements—cementing its status as a street icon. LeBron is no stranger to the Air Force 1. Whether he’s rockin’ classic white-on-whites, or making statements with his “More Than An Athlete” customs, the King considers the shoe—just like any other sneakerhead out there—a staple in every rotation. 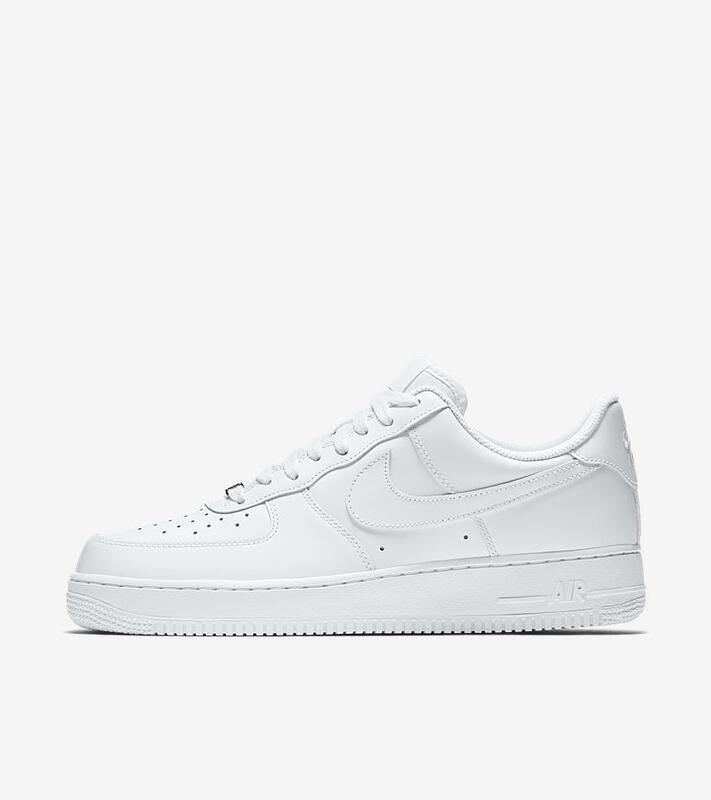 Let’s put the all-white Air Force 1 on the 15, keep it clean to kick it off. Air Force 1 “Triple White” key features: “—AIR—” on the lateral side of the midsole, Nike Air in the heel, deubré for the laces, a Swoosh on both sides, all white everything. What it would look like on the LeBron 15: Imagine an all-white LeBron 15, as clean as it can get, with AF1 details on the shoe. Starting with Nike Air branding, there should be one on the tongue and on the heel, just like the traditional Air Force 1. “—AIR—” branding should be on the lateral side of the midsole, to be placed on the first Zoom bag from the back of the shoe. Since traditional Air Force 1s don’t expose AIR, let’s cage the Zoom bags on the 15s as well. Adding a deubré for the laces that says “AF1” would bring justice to the original, as any other Air Force 1 without one just doesn’t feel right at all. The final touch for this shoe would be the Swoosh—that crispy leather Swoosh would be the perfect finish for an Air Force 1 x LeBron 15. Everybody loves the Air Jordan 1. It’s just so easy to wear, easy to match. Color blockings can be fairly creative too—just like the 2017 released Air Jordan 1 “Top 3”, as seen on the King a year ago. And yes, the white laces were fire too. LeBron keeps the Air Jordan 1 in his off-court rotation—and that is why it’s on this list. So let’s use the Air Jordan 1 “Chicago” and apply them on the LeBron 15. On a side note, let’s try not to mess this up too. What it would look like on the LeBron 15: The Jordan 1 x LeBron 15 should easily pull off the Jordan 1 color blocking, as both shoes have that similar hi-top look. Start by dressing the Battleknit with red and white Jordan 1 blocking, black laces, and stamp the Jordan Wings logo just below the cut of the shoe’s sock liner. Add one leather Swoosh each on both the lateral and medial sides, making it connect at the shoe’s heel. Just like the Air Force 1, the Jordan 1 does not expose AIR, therefore, the Zoom bags on the 15s should be closed as well. Finish it off with that Chicago red on the outsole and you’ve got the Jordan 1 x LeBron 15 “Chicago”. Oh, and slap that “Nike Air” on the tongue, giving that OG feel and look to it. Sneaker heads have been blessed this year when it comes to the Air Jordan 3—as it celebrates 30 years since Michael Jordan laced them up and took off from the line. From the Black Cements, to the Tinkers, to the Justin Timberlakes, let’s continue the celebration with the Jordan 3 x LeBron 15. Off the court, LeBron considers the Jordan 3 a staple piece as well. On the court, however, James famously wore the timeless Air Jordan model during a 2003 preseason game, and most likely his last time wearing a pair or Jordans during a game. He may not wear the actual Jordan 3 on the floor again, but it would be awesome to see a Jordan 3 x LeBron 15 hit the court. Just like what he wore in the game, it’s time to put the Jordan 3 “White Cement” look on the LeBron 15. 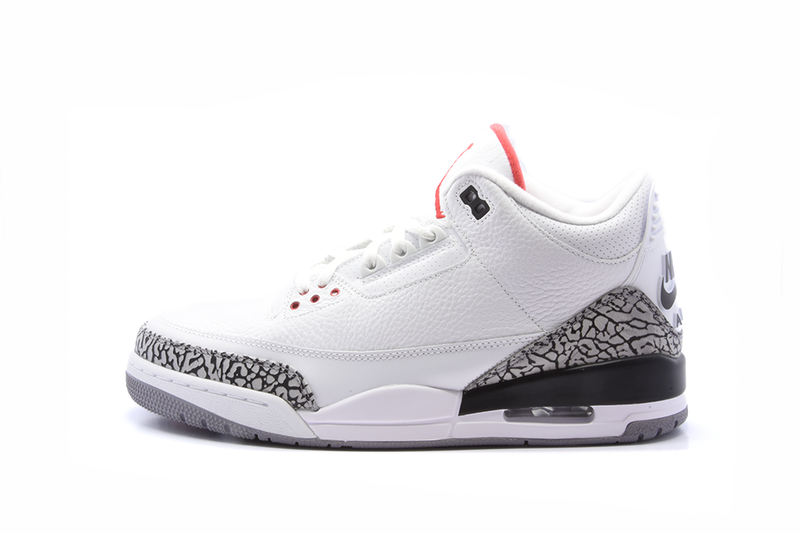 Air Jordan 3 “White Cement” key features: Dominantly white upper, cement print on the toe and heel cap, exposed AIR bubble, Nike Air branding on the heel. What it would look like on the LeBron 15: Imagine another clean, white LeBron 15. 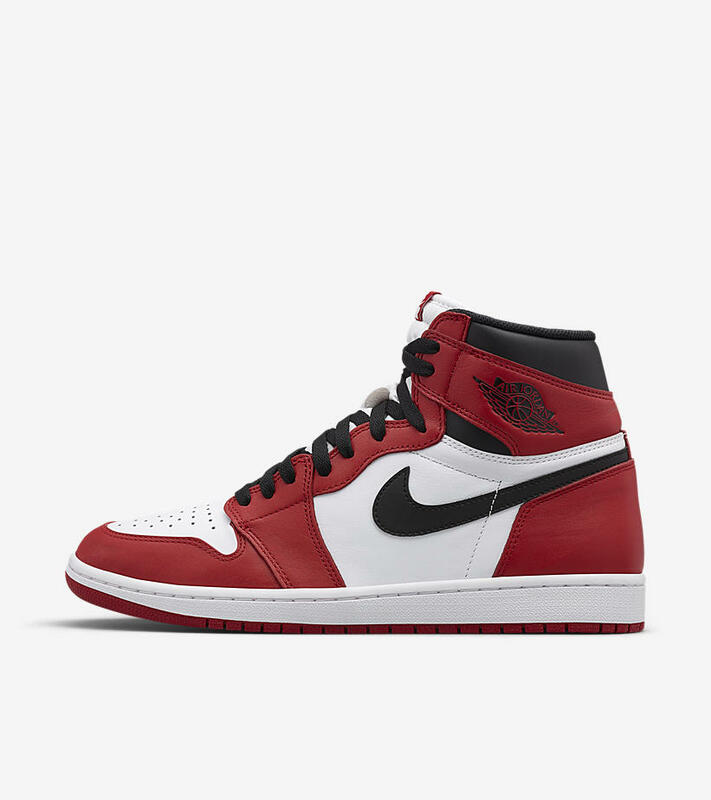 Start with adding a hint of red on the lining of the sock liner, mimicking the red part of the AJ3’s tongue. Cement print should be seen on the Battleknit’s toe area and along the heel cup. Now going through the shoe’s midsole, is where it gets a little tricky. The midsole of the AJ3 features white throughout, while leaving space for a hint of black on the back part of the shoe. Copy and paste that style to the LeBron 15—which should look like it would have the first two Zoom bags from the front caged in white, while exposing the last, under the black part of the midsole. Add that grey on the outsole and do we have an AJ3 x LeBron 15 “White Cement” already? Not quite yet. Again, slap that Nike Air at the back for the OG look; and add that Jumpman logo on the tongue. Wait, is it weird to see the Jumpman logo on a LeBron shoe? Kinda. But maybe it’s not so crazy given how LeBron’s shoe has always tried to push boundaries. If LeBron was an Avenger, who would he be? My guess would be the Hulk. He’s got out-of-this-world super strength, especially when he’s mad, or when his team is trailing. However, he’d be cool as Iron Man too—blasting his way down the lane for an easy dunk. You might think: “why would LeBron be an Avenger when he’s already the best player in the planet?” Well, that’s because the Avengers are cool. 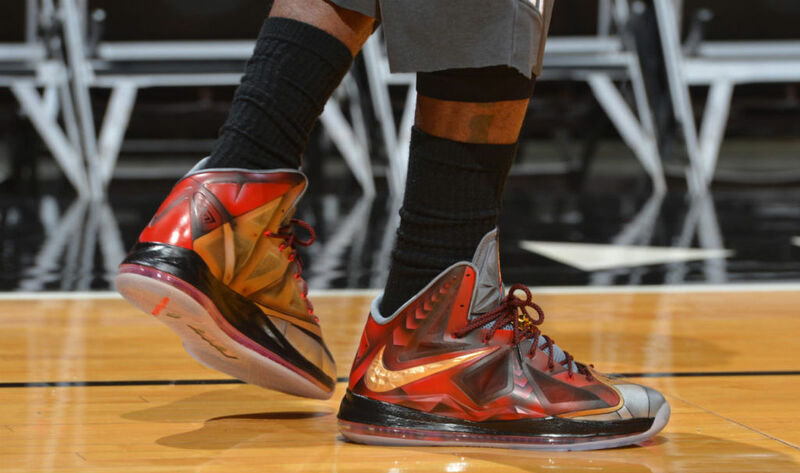 During the 2013 NBA Finals, LeBron James hit the court for shoot around wearing a Nike LeBron 10 “Iron Man” custom by Mache Custom Kicks. The two linked up during All-Star weekend of that year and Mache presented the reigning MVP with the pair that was personally requested by the King himself. It featured actual chrome plating, ‘Stark’ tags on the tongue, and a custom case—mimicking Tony Stark’s briefcase that had the Iron Man suit. Let’s suit up the LeBron 15 and see what we got. Nike LeBron 10 “Iron Man” key features: The shoe looks like the updated Iron Man suit featured in Iron Man 3. The shoe looks like a superhero, period. What it would look like on the LeBron 15: Insert the “shut up and take my money” meme here. How cool would it be if LeBron wore an “Iron Man” LeBron 15 during Game 5 against Indiana—the same day Infinity War shows on the big screen? It would be so cool if it also had the updated Iron Man suit from the upcoming movie. Oh, and some “Stark Industries” branding too. That’s how it should look like. Last on this list is the first shoe from the Soldier series—the Nike Zoom LeBron Soldier 1. What’s special about this shoe is that it’s the shoe that LeBron wore during his first trip to the NBA Finals. Why would this be an awesome addition to the LeBron Watch? Firstly, it’s a really dope shoe. Second, Nike’s gonna retro the shoe for the first time. Finally, it represents James’ first big loss, which would be juxtaposed into the winner that he is now, through the LeBron 15. Nike Zoom LeBron Soldier 1 key features: Straps on the mid-foot and on the lateral side for heel lockdown with a Swoosh and the L23 logo respectively, LeBron lion logo on the tongue, leather upper, and leather toebox. What it should look like on the LeBron 15: Again, all-white LeBron 15. Add some gold hints throughout the shoe, reflecting on the same shoe LeBron wore in the 2007 Finals. Add the two straps—mid-foot and heel strap, to be both contained and buckled on the mid-foot area. Stamp the Swoosh on the mid-foot strap and the L23 logo on the heel strap. Add the LeBron lion logo on the tongue, and to finish it off, let’s put an embroidered “WITNESS” just below the sock liner, on the shoe’s Battleknit, and that completes the Zoom Soldier 1 x LeBron 15. Is it possible for these ideas to reach the LeBron Watch? Maybe, maybe not. 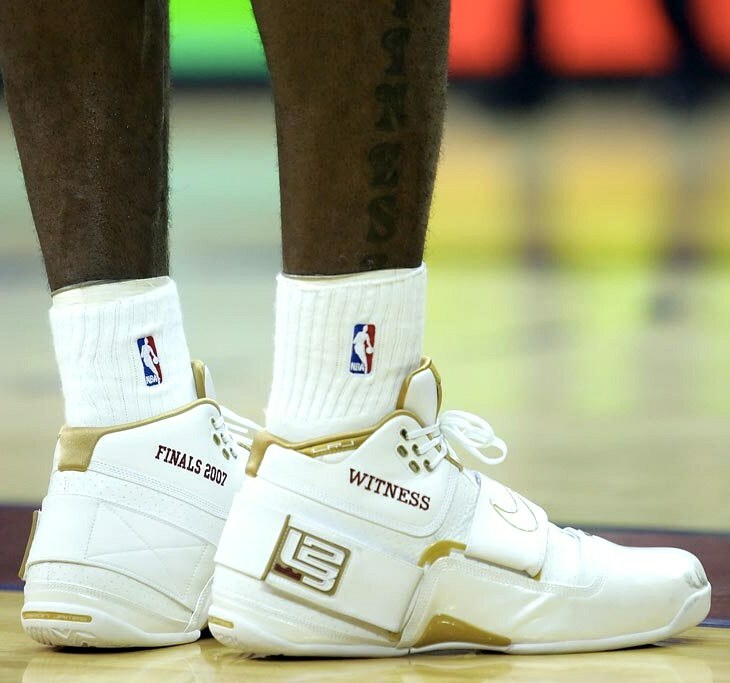 All we can really do is appreciate the creative concept of the LeBron Watch, and hope that one day, everyday stories will also be featured on our favorite basketball player’s favorite pair of shoes.